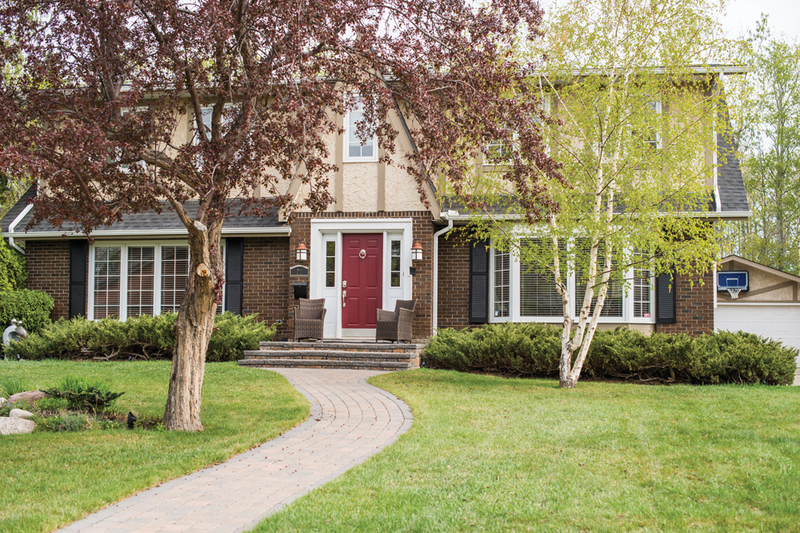 With only one road in, Westridge is a secluded oasis in Edmonton’s west end. Unlike ancient Rome, which in its heyday was the hub for all traffic, only one road leads to Westridge. And Ari Drelich believes most of the neighbourhood’s residents would like to keep it that way. Accessible only via 170th Street onto Wolf Willow Road heading east, Westridge was designed to fit the landscape. From a bird’s-eye view, the narrow neighbourhood is bordered by Patricia Ravine in the north and Wolf Willow Ravine in the south, which converge at the North Saskatchewan River valley. The natural surroundings are spectacular on the thoroughfare, which loops the perimeter of Westridge back to 170th Street. That scenery has made Westridge one of the city’s higher end neighbourhoods, where housing prices average around $730,000. More than 1,400 people live in Westridge, with residents in the 50-to-69 age bracket dominating the demographics. Of the 495 residential units in the area, most of them are single-detached bungalows built during the 1970s, although a few row-housing complexes also exist. All the homes are on crescents and cul-de-sacs surrounding the Westridge Wolf Willow Country Club Community League, located in the centre of the neighbourhood. Shoppers get access to services at the Wolf Willow Shopping Centre located in Oleskiw, right on Westridge’s southern border. This complex is the hub for the neighbourhood. It’s also the centre of all the community action, from hockey and soccer to tennis and basketball. Additional services include a daycare, meeting rooms and hall space. Stretching from the Yellowhead Freeway all the way to the river valley, this greenspace is very popular as an off-leash area for dog owners. Bordering Westridge, Patricia Heights and Rio Terrace, the space has a path that’s also a favourite for hikers. While this establishment takes pride in its creation of cakes, cupcakes and cookies, it really thrives on creating unique, custom designed pastries for occasions from weddings to birthdays. Since 2003, Urban Retreat has been pampering clients with a vast array of services that include shiatsu massage, laser hair removal, manicures, pedicures and other skin treatments. Charisma offers a wide array of hair services including colour, highlights, extensions and styling. And, if you still feel incomplete, check out the selection of clothes and jewellery.